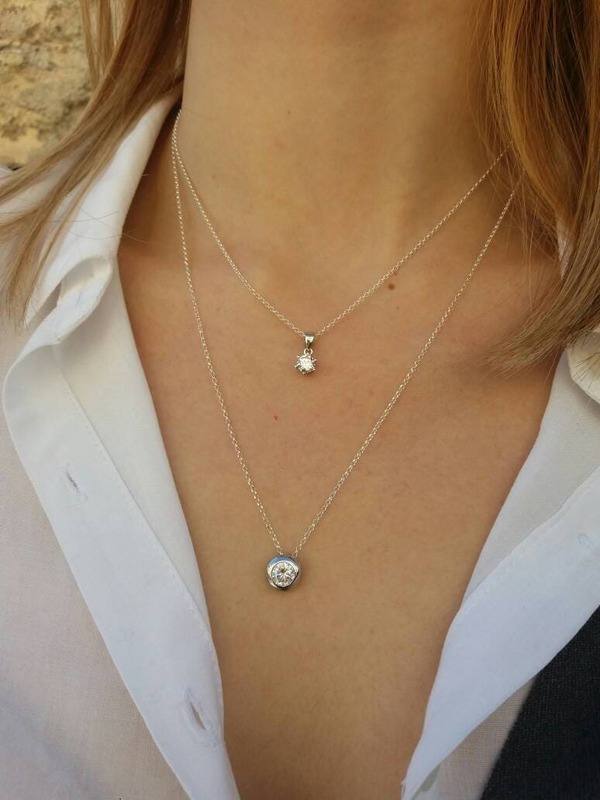 A brilliant everyday necklace set made of cubic zirconia floating diamond hanging on a shiny 925 sterling silver chain. 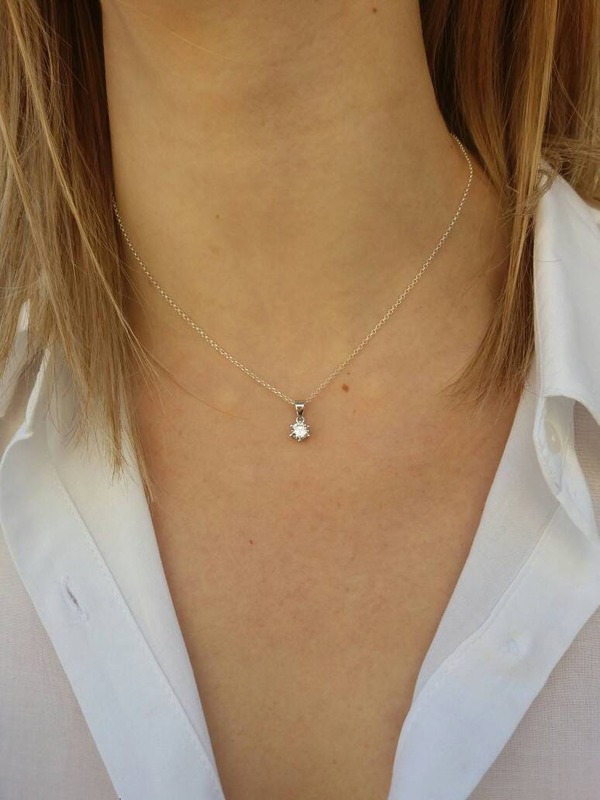 Zirconia gives extra brightness to this elegant charm. Appropriate for exceptional occasions. They can be worn seperately. 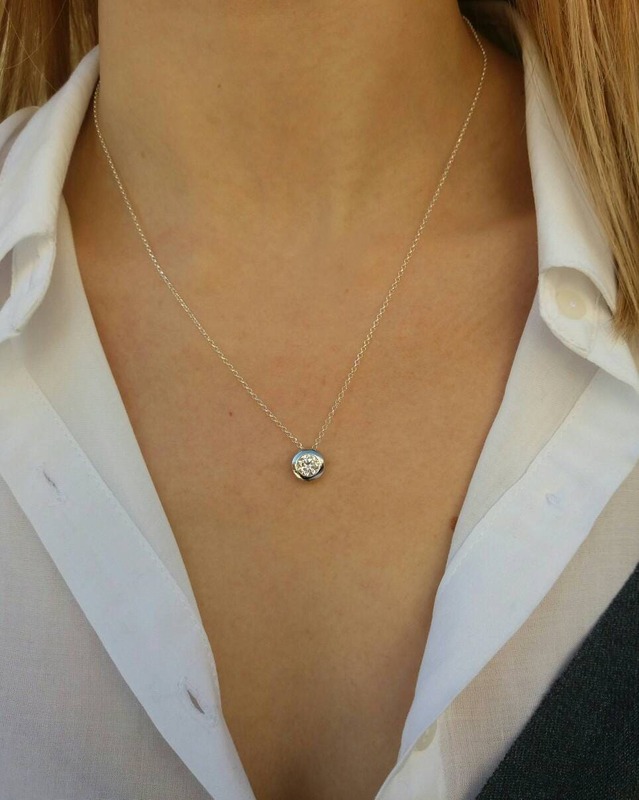 A nice wedding gift for her!!! Length approx. 16 and 17 inches can be adjusted upon request.